“If freedom of speech is taken away,” George Washington told a group of military officers in 1783, “then dumb and silent we may be led, like sheep to the slaughter.” America’s government has not always upheld the right to free speech, but American culture has always held free speech in high esteem. Prompted by James Madison, The Bill of Rights was passed in 1790. The Bill secured freedom of speech for all American citizens (only white land-owning males at the time). It was not long, however, before these rights were in danger. Passed in 1798, the Alien and Sedition act prevented certain criticisms of the president; an attempt by President John Adams to hurt his presidential opponent, Thomas Jefferson. Throughout the 17th and 18th centuries, liberalism and other philosophies that emphasize individual rights were being developed. 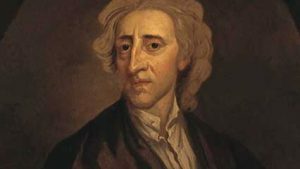 In his Second Treatise on Government, John Locke, an English philosopher, states, “Being all equal and independent, no one ought to harm another in his life, health, liberty, or possessions.” This idea appears, almost word for word, in the American Constitution. The influence of European philosophy on the Founding Fathers is noteworthy, seeing as America’s founding document finds its base in the ideas of John Locke and other 17th and 18th century liberals. At the time the constitution was written, schools were not public, and warranted little attention from the government. 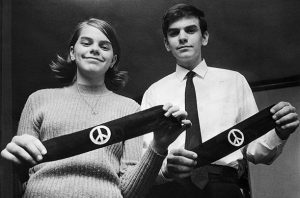 The first time the American government acknowledged the rights of students was in Board of Education vs. Barnette, a landmark case in which the Supreme Court sided with a group of Jehovah’s Witness students. The students challenged the 1943 law mandating that all students salute the flag and recite the Pledge of Allegiance. The Court ruled that the 1st Amendment protects a citizen’s right to not say something. Later, during the Vietnam War, the court, once again, ruled in favor of the students’ 1st Amendment rights. This decision, Tinker vs. Des Moines ICSD, established a student’s right to protest on school property, so long as he or she does not disrupt classwork. 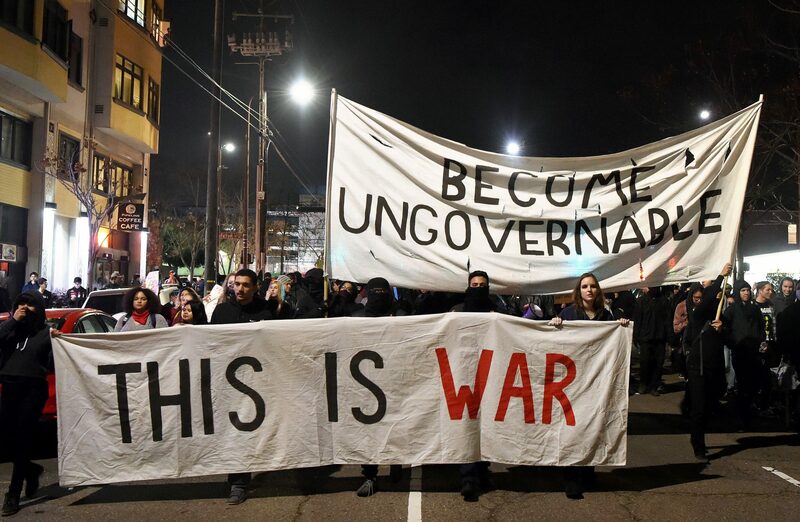 Although universities existed at the time the constitution was developed, the Founding Fathers did not feel they had a right to mandate certain policies on university campuses. Now, constitutional rights on college campuses has become a pressing issue, with some institutions banning certain types of speech altogether. America is split over this issue, with republicans fighting for all speech, regardless of how offensive or triggering its content, to be allowed. On the other hand, democrats generally believe that speech that triggers or offends someone should be restricted. Many who support censoring hate speech defend their views by bringing up the harm that hate speech can cause to minority groups. Erwin Chemerinsky, Berkeley Law School’s new dean, argues that the harm speech can create is the reason all speech must be protected. Chemerinsky uses the fact that speech can offend or uplift to show how vital it is to society in general. He proposes a new method of handling offensive or hateful speakers. In this new method, a university should reaffirm its beliefs and condemn the speaker, while still giving them the opportunity to speak. Restrictions on how speech can be used have historically been instituted to limit progress. In the words of Peter Tatchell, a prominent human rights lawyer, “Free speech does not mean giving bigots a free pass. It includes the right and moral imperative to challenge, oppose and protest bigoted views. Bad ideas are most effectively defeated by good ideas – backed up by ethics, reason – rather than by bans and censorship.” Tatchell, among others, believes that restricting speech can only help contribute to the advancement of the same ideas that democratic campuses seek to eliminate. An informed and talkative population has historically been the enemy of any despotic ruler. From enlightenment age, writers and social commentators, like Voltaire, who criticized autocratic monarchs, to modern-day Russian activist groups imprisoned for criticizing Vladmir Putin’s egregious human rights record, free speech has been proven to strike fear into the hearts of the most brutal regimes. Freedom of speech has been an integral part of American life since the very beginnings of the nation. Speech can be used to belittle and offend, but it also has the power to inform and change society. Now, as society progresses, America is faced with a dilemma – to hide from injustice or to use speech as a tool to dismantle it.